A new report from Centre for London, funded by Trust for London, shows that the capital could afford to add a 7% increase to the statutory minimum wage – akin to a London weighting. This increase would mean 175,000 workers would see employment income increase by up to £800 in the first year without threatening jobs or London’s competitiveness. With costs of living in London rising faster than wages, and in-work poverty growing, we need to find new ways of making sure it pays to work. London Rising: the case for a London minimum wage, applies the same methodology used to set the national minimum wage, to the London economy. Working poverty has risen by 60% in London over the past decade. There are now more than a million low income families where at least one adult is working. With wages failing to keep pace with rising costs, in-work poverty is now one of London’s most significant challenges. Yet there are ways this can be tackled. Wherever they can, employers should pay a Living Wage. The number of employers paying the Living Wage is growing but is still small. We therefore need to look at additional ways to deal with low pay. London Rising, in calculating that London could have its own higher minimum wage, presents a new way of doing just that. The national minimum wage is already being set with little reference to London. The Low Pay Commission does not take into consideration regional variations in the economy. This means that where low paid workers in the rest of the country have benefitted from its introduction, those in London have not benefitted to the same extent. London Risingsuggests that the very different nature of the capital’s economy means London employers could afford to pay a higher minimum wage than they currently do, without causing job losses. These estimates are independent of the Low Pay Commission, but are based on calculations that shadow its methodology. The estimate is higher than the current minimum wage rate because the structure of the economy in London is substantially different from the rest of the UK. The lowest paid in London have always been paid more than the national minimum wage. This means the rate of a minimum wage in London must be higher in order for it to have an equivalent economic impact as the national minimum wage. London Rising recommends that the 1998 Minimum Wage Act be amended to give the Low Pay Commission responsibility for additionally recommending a rate for a London statutory minimum wage, with democratic accountability resting with the Mayor of London. For those at the margins the increase in wages makes a significant difference. 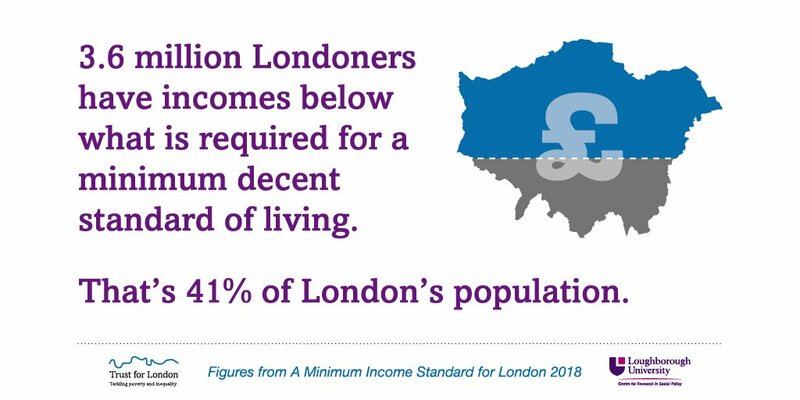 It is still less than is needed to live in the capital, but it is an important step in the right direction.London Rising provides compelling evidence for the need for change in order to ensure that the national minimum wage works as well in London as it does beyond it.